Enlightenment. Enlightenment is defined as the act of receiving greater knowledge and understanding about a subject or situation. Throughout the trip to the Netherlands, I can definitely say that I have truly been enlightened beyond my expectations. Due to the fact that I was afforded to take this trip as a study abroad class, it gave me the opportunity to ensure that I consistently took note of Dutch culture and history at every turn. This assured use that information to understand how this has affected their infrastructure and transportation system as a whole. Based on their culture, three aspects seem to truly drive a majority of the design solutions: timeliness, collective good, and caring for the most vulnerable. Timeliness. 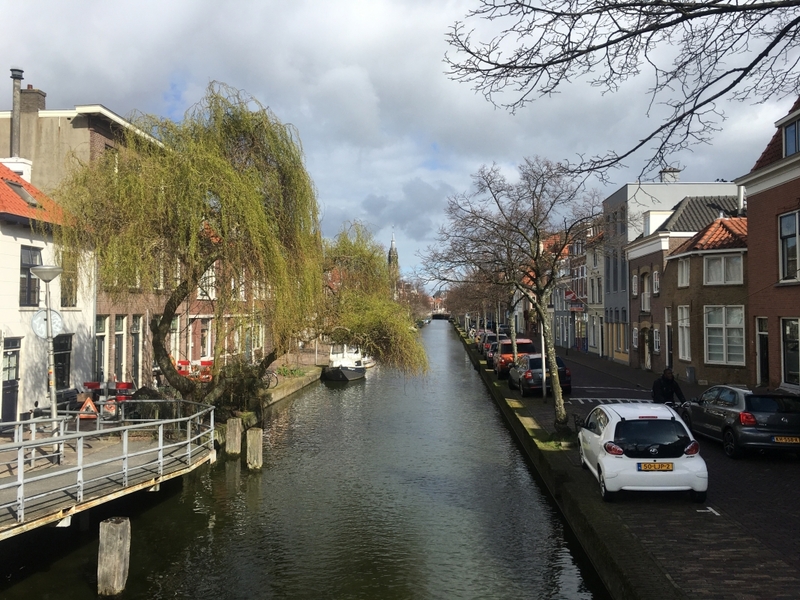 Though Dr. Watkins had hinted at the timeliness of the Dutch, it was not until our class was in the Netherlands and in the environment that made us understand the gravity of what she meant. 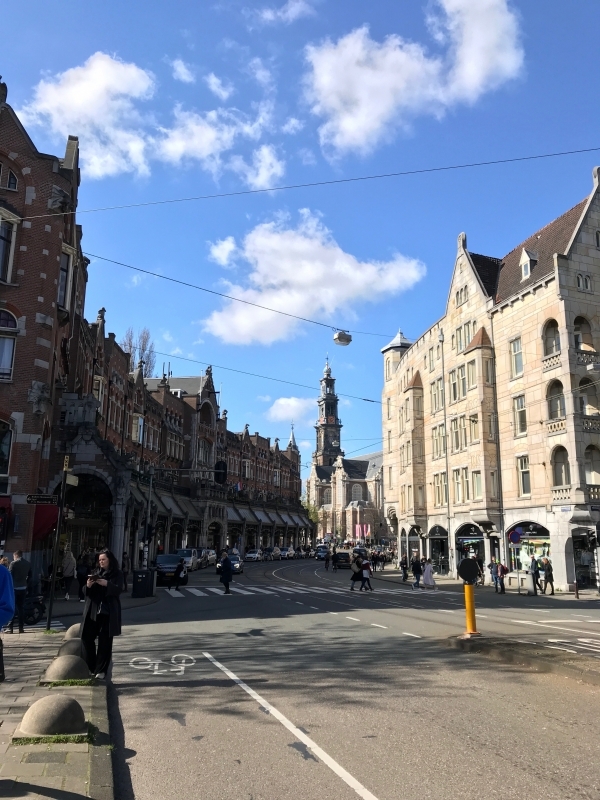 Whether our class was in Rotterdam, Delft, Utrecht, or The Hague, the timeliness was so imbedded in the system and culture that it was seen and felt everywhere. For example, all the train departure times were extremely accurate and anyone who was exactly on time or late either struggled to make it on the train on time or missed it, respectively. Additionally, the reliability of timeliness was paramount as well. Thus, even as a major point of information in each conversation that we had, the Dutch assured that timeliness was implemented in the design of the nearly all transportation solutions. For example, one of the main metrics that is used to determine the successfulness of the initiatives that they try to implement are related to assuring that people are given multiple modes of transportation to meet the needs of such a compact nation. 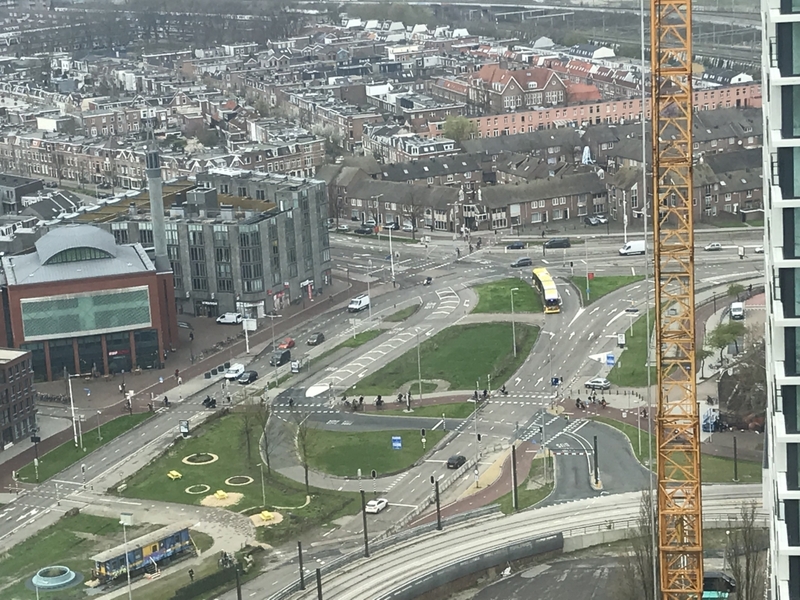 Therefore, transportation options such as trains, trams, and buses are much more efficient in the Netherlands and is truly driven by this fact as well as the collective good. Collective Good. During much of the conversations with professionals and academics, it was evident that the Dutch had a more cohesive idea that collective good was not only important but necessary for the advancement of the society. In a variety of ways, their more socialist ideology attributes to this idea substantially. For example, whether it was when the people collectively protested against cars due to extremely high childhood death rates or the government understanding that it would need to use resources to truly ensure that the flooding disaster of 1953 never happened again, much of the design of the infrastructure is a direct result of action by the public to ensure that the public collective good is upheld whether it would originally be sacrificial on a more individual level. Therefore, this ideology is truly the basis of their bicycling infrastructure. The collective good that a robust bike infrastructure ensures--even if it means to take away some of the dominance of the cars--is worth the benefit. For example, much of the infrastructure is based on the separation of speeds rather than extremely focused on separation of modes as paramount; thus, there is always a location for bikes in the system and always a safe route in which these bikes can travel. Additionally, the collective good that aided the design of the road has in itself influenced the culture as well. With many of the roads, the cars truly respect the vulnerability of the bikes and pedestrians and understand that it is necessary to properly yield to them in nearly all situations. Moreover, due to the fact that many more bikers can be serviced in the span of a green light green time than that of cars, the Dutch have implemented a system that makes cars yield to bikes in nearly every situation--especially at intersections and roundabouts. Overall, the culture has influenced the design of the system but has the design of the system influenced the culture? After only a week in the Netherlands, it was evident that the answer to this question is a resounding yes. Though the increase in bikes was directly in response to protests and sustainability originally, it has influenced the health, longevity, and lifestyles of the Dutch in general. People are not only less likely to use cars for their short trips but they are also proud of the fact that they do. In the United States, the fact that you can get your driver’s license at 16 years old is an extremely big milestone and declares that you are closer to adulthood. Conversely, in the Netherlands, at the age of 12, it is an extremely important cultural milestone to get your certificate that you can ride your bike alone. Though the certificate is very symbolic, these types of programs ensures sustainability of the bike system for the future while also contributing to the pride of bike culture. Throughout this examination of culture and infrastructure, I tackled how the bikes and the culture have mutually influence one another and promote a more holistic approach to transportation. European cities have grown around the concept of shared space. With cities such as Amsterdam dating back to the 1200s, streets were designed for pedestrians, horses, and carts, all using the same, often quite narrow, roads. As transportation evolved, so did the supporting infrastructure, but the history of sharing roads between different modes of transportation never faded. Riding or walking down narrow streets that were home to bike, car, and pedestrian left me with the impression of older times when residents worked with one another on sharing public space rather than relying solely on signage or vehicle size to determine right of way. The interactions between the various commuters, how a road would transform depending on the needs of the moment, from a one-way with a bike lane to a two-way with cars barely squeezing by each other, everyone watching out for one another, was something I had never experienced in the U.S. Many American cities, young and impressionable, have given the run of the road to the latest game-changer, the car. This dominance is distinctly felt in most cities in the U.S., with cyclists and even pedestrians often feeling like trespassers on the land of the car. While the Dutch planners admitted that their cities did experience a car-centric era, they are actively working to reverse that trend. Even after showing us how they transformed a street that was once meant solely for cars to a shared space between pedestrians, bicycles, and public transit, it was still hard to imagine such transformations in Atlanta, for example. American roads are missing the historical element of communal space, with road sharing between different forms of transport as the norm streets in old European cities. Not to say that it cannot be done, there have been successful implementations of shared spaces in the U.S., such as a woonerf in Seattle, but the cultural barriers (stemming from historical context) seem larger here than in the Netherlands. The Dutch have homed in on many strategies that prioritize bikers and make them feel safe. Beyond bike lanes, they have built thousands of kilometers of separated bike paths, and often give cyclists the right of way when interacting with cars. 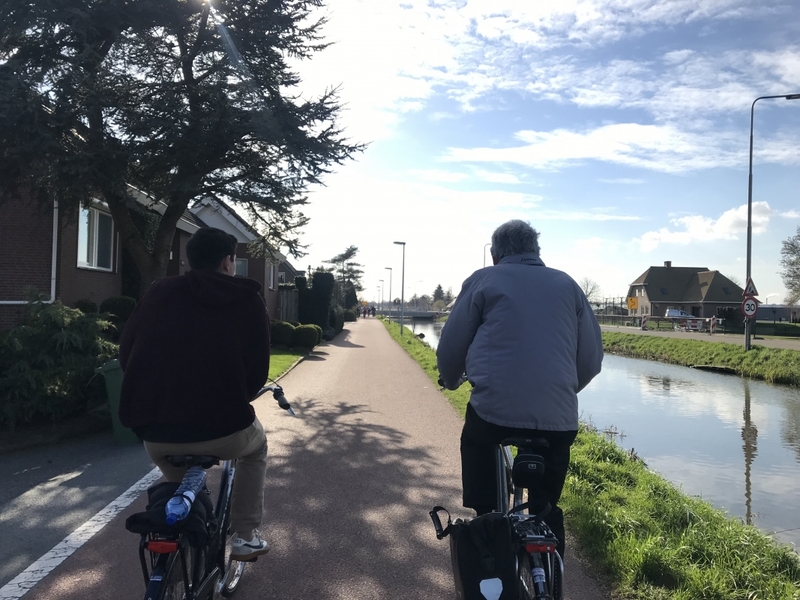 The effort to build expansive and safe cycling infrastructure has had a lasting effect on Dutch culture, allowing for everyone to participate in cycling culture rather than the brave few who venture onto car-dominated streets. Cycling has now been so integrated into Dutch culture that it is the norm for everyone, no matter their age, lifestyle, gender, or economic status. This is in sharp contrast to the U.S. where cycling is seen through certain lenses, such as for people who love exercise/the outdoors or people who cannot afford a car. Beyond culture, safety is also a huge factor for people when deciding to travel by bike. Bikers are 30 times more likely to be injured in the U.S. than in the Netherlands. 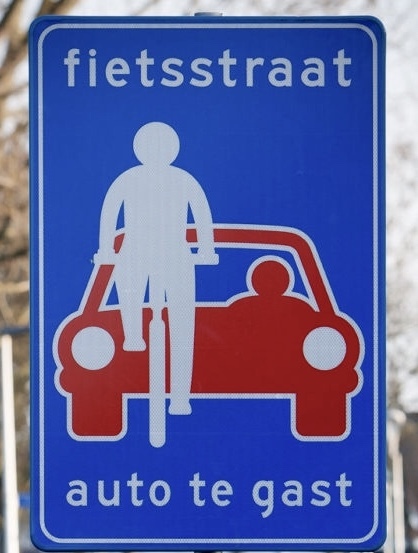 The Dutch believe their safety success stems from their efforts to completely separate cyclists and cars, only sharing the road when necessary and even then, teaching the cars to respect and make space for cyclists. In the U.S., shared streets with cars and bikes is the most common and, in some cities, cars are uncomfortable sharing the road with bikers and don’t drive safely around them. The experience of biking in the Netherlands is one that I hope I don’t forget when continuing in my career. I want to remember that feeling of ownership on the roads and hopefully help create systems in the U.S. that give cyclists a similar feeling. I want to remember how simple it was to just hop on my bike and go, and that I don’t need to drive to the grocery store or the local restaurants (while it might be a little less simple here in Atlanta, it’s definitely still doable). I want to be a part of a generation that challenges our reliance on cars and moves towards more sustainable modes of transportation. After traveling a week in the Netherlands, stepping off MARTA from the airport felt like a shock to my system. I walked from the station into a concrete and bike-less street. It felt a little empty. Compared to many parts of the Netherlands, my walk through the heart of Midtown was eerily quiet. Without proper bike and pedestrian infrastructure, streets don’t feel like shared social spaces and become dominated by cars (and fallen scooters). Before biking around on this trip, I didn’t realize how much I walked and how much time biking could save me. Trips around Delft, similar in lengths to my current campus trek, were much more manageable and fun because of bikes. As more people bike, there becomes a greater need for more biking infrastructure. This positive loop creates quality bike infrastructure that is safe, efficient and gives people for the priority. It is common in Dutch culture to bike regardless of age, gender, and activity because their design is built for all types of people. A child grows up biking to school in the Netherlands because they can travel on a safe route and their friends are biking. Bike culture and infrastructure reinforce each other. Bike design in the US is often an afterthought. The first priority is often moving vehicles to reduce congestion and safety concern. Even I was in this camp! I have written traffic impact reports and right before I turn it in, I quickly write a blurb about bikes. In the Netherlands, roadway design prioritizes people, not cars. When people are the priority, transportation becomes safe, efficient, and enjoyable. Transportation systems are not thought of as a corridor but a network to facilitate movements. One of my favorite podcasts is “99% Invisible” (99PI). At 99PI, their goal is to “expose the overlooked aspects of design, architecture, and activity in the world” because "Ninety-nine percent of who you are is invisible and untouchable”. Because of this podcast, I always thought that most people overlook design. 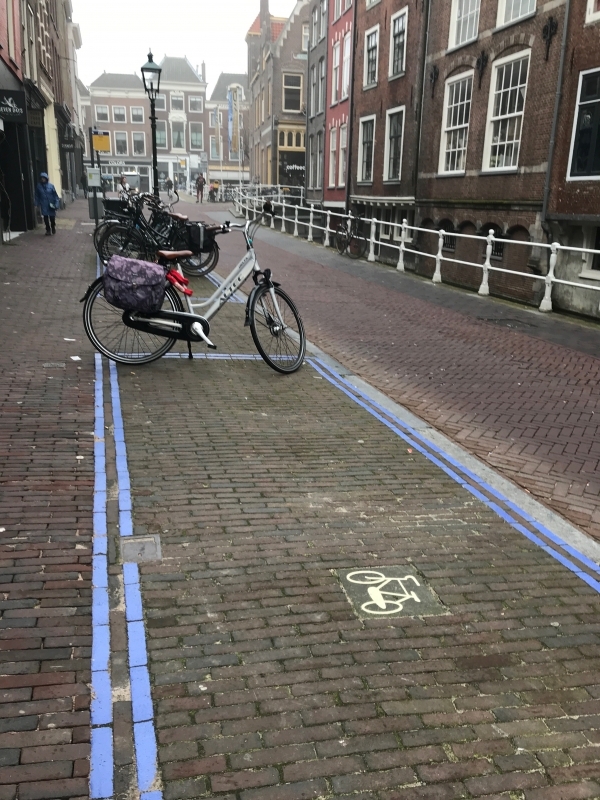 After having my eyes opened to the awesome bike infrastructure of the Netherlands, I realized that I was a blind designer. My eyes weren’t open fully to the importance of bike infrastructure design. I can’t wait to explore the rest of the world with my eye now open to quality roadway design. Going into our class trip to the Netherlands, I honestly expected the cycling infrastructure to be perfect. I expected to see red asphalt in every cycle path, raised crossings at every intersection, and absolutely no bike lanes. I was quite surprised to find so many instances where the Dutch standards weren’t followed. After our conversation with a retired planner in the Delft region, however, the Dutch psyche was revealed to be far more similar to the American one than I thought. This retired planner, Jan, said that its always better to have something than nothing, even if that something isn’t ideal. I think this is my greatest takeaway from our class trip to the Netherlands. Despite having a culture that is rigid with schedule and policy, the Dutch admit that even their own glorified network isn’t always perfect, and that in some areas it may never be perfect. The next time someone in America says that what is done in the Netherlands (or any other country for that matter) “just can’t or won’t work in America,” I’ll be very prepared to rebuke with evidence to back me up. Most Dutch city designs (maybe with the exception of Rotterdam) prioritize people above all else. This is most evident in transportation networks where car-free zones, separated bike pathways, and traffic-controlled neighborhood streets are commonplace. 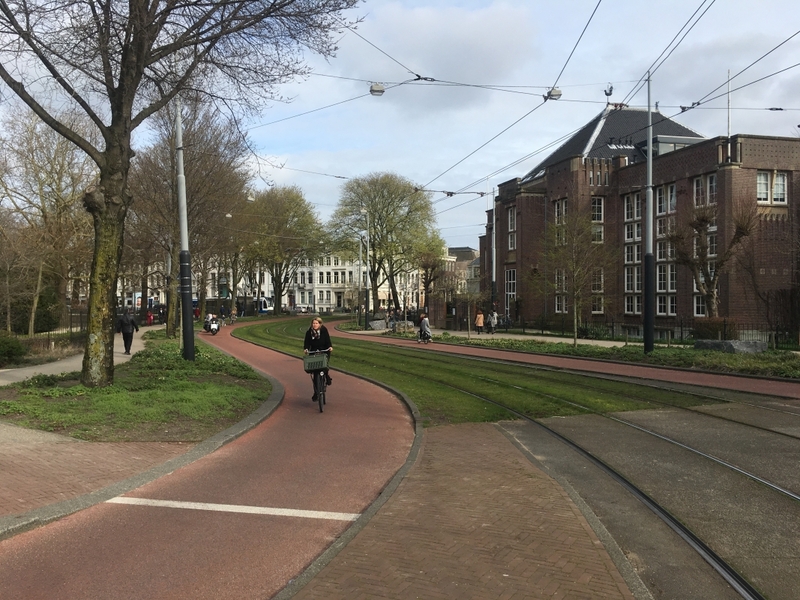 The Netherlands has run rampant with transportation design that puts the needs and experiences of a human above the needs of a car. Unfortunately, most of America follows an opposite trend. Typical Dutch culture values time and consensus. This is evident in the way that Dutch people speak with each other and their government structure. In considering time in transportation design, the Dutch often give cyclists the easiest, quickest, and most direct route to a destination. This is evident in many cases, whether it be a tunnel that adds speed useful for returning to surface level or the creation of a bike-based suburb with only one ring road for car access to everything. Given the importance of time and the import benefits of cycling, planners have shaped the built environment to favor use of the bicycle for its timeliness. The Dutch value of a group decision where most people benefit or agree is also evident in the way that plans come about. Many larger metropolitan areas in the Netherlands have the equivalent of America’s city council-people. However, in order to prevent one group of people from halting the improvement of most of everyone else’s lives, city council members do not represent a district. Rather, a group of city council members are elected by the governed citizens and decisions are made considering everyone in the voting region. As I mentioned before, sometimes there aren’t any good options. 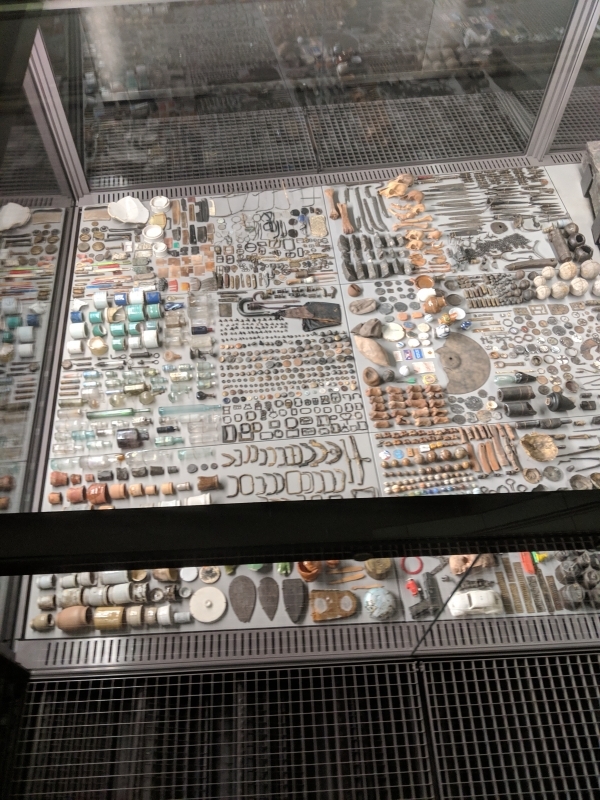 However, the Dutch have shaped their planning culture to accept what isn’t done up to standard by seeing the benefit that having something is over having nothing brings. Also, the prevalence of bike infrastructure and safety associated with it brings bicycle use to people’s lives outside of the traditional commute or shopping trip. Many kids bike to school alone or with parents, teenagers can interact with each other, and the elderly can live more active and healthy lives. This is very different than the isolation and stagnation caused by the American suburbs. Let’s stop and take a second to appreciate what just happened. We just spent a week exploring the lands of the undisputed champion of bike-centric design, shocking our minds and hearts, and reinvigorating our passion for multi-modal design. I couldn’t be much happier even if I spent a week with Jordan and Phil on the Bull’s bench in the 90’s. But anyway, enough about my childhood dreams. Learning from one of the most forward-thinking and human-oriented nations in the world was a phenomenal experience, and I’m so grateful to have had this opportunity. Now it’s back to work to apply some of what we learned in the Netherlands to our homeland. Let me hammer home this concept with some juicy pics. Figure 1: A road with no cars...is this real life? Figure 3: The Hague, a whole city square that restricts car use! Just imagine applying these principles in Atlanta. Chaos! The minute you mention narrowing a vehicle lane in order to add a bike path, thousands of car dependent Americans who are normally complaining about potholes come out of the woodwork to vehemently oppose any type of additional bike infrastructure. Essentially, it boils down to a difference in culture, which is something I’ve been preaching to anyone who will listen over the past few days. Design and culture go hand in hand, and both influence the other. The United States culture has been influenced by our design. We historically planned for cars by building wide lanes and answering congestion by adding capacity to roads. That design and the view of the car as a status symbol have created a culture where cars are the default way to get around and living in secluded and sprawled cul-de-sacs is ideal. In contrast, the Dutch design and culture create a dense landscape of people which makes it easier to build bike-oriented infrastructure. 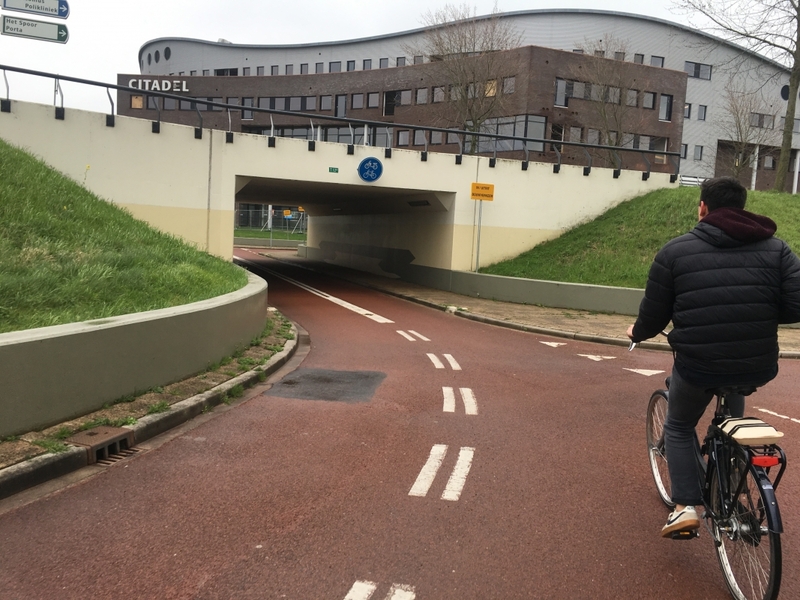 It’s hard to say which came first, the design or the culture, but it’s apparent that they both are results of the commitment by Dutch leadership to create a bikeable, connected and integrated transportation system. Overall, I had a splendid time in the Netherlands and definitely plan to go back! 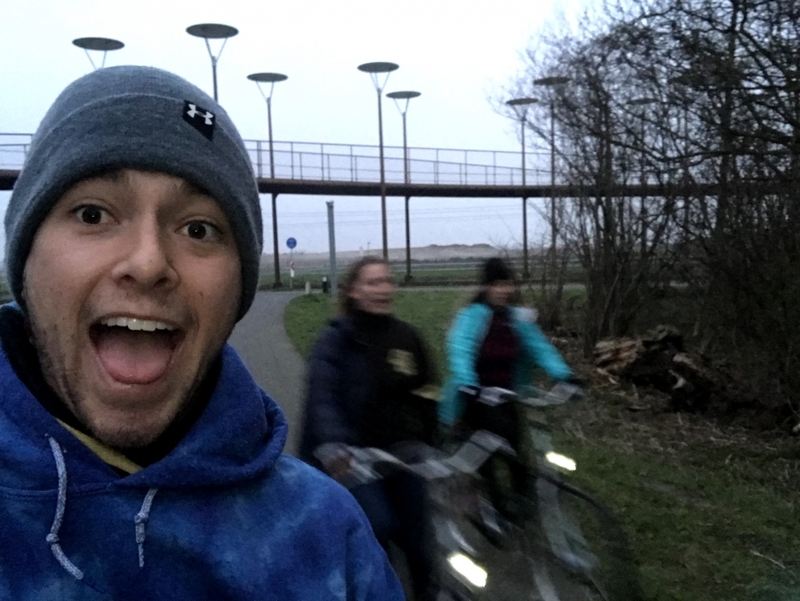 I really enjoyed starting off my day while in the Netherlands on a bike because I felt much more awake and energized than I usually feel in the US. I honestly miss the comfort of the Dutch paved cycle paths and how smoothly integrated biking and transit were. I am hopeful that the US will see improvements in biking infrastructure. In the US city of Atlanta, cycling makes up 1.4% of all commutes (Atlanta 2017). The city of Rotterdam in the Netherlands is comparable to Atlanta in size and population, and yet about 31% of travel in Rotterdam is by bike (Sutton 2017). US designs are suited for low numbers of cyclists that include narrow bike lanes on already established roads for vehicles, because it is cheaper than creating separate and safer infrastructure for cyclists. If there were safer, more protected bike routes in Atlanta, we might see a higher percentage of travel by bike comparable to that in Rotterdam. I learned while in the Netherlands that there is always space for cyclists. When roads are predominantly for vehicles, there will be advisory bike lanes, like what you’ll see in the US where cyclists ride on the edges of the roadway. I learned from a city planner in Amsterdam that initially, Dutch designers were putting bike lanes on streets with pedestrians and cars but as the number of cyclists increased, bike lanes were getting widened to the point that it made more sense for cyclists to use the entire street and share it with other traffic modes. This concept was given the name woonerf and typically has no safety infrastructure to guide users. Roads have reduced speeds and the space makes all users cognizant of others, which increases road safety. There may be more near misses, but no serious injuries typically result in these spaces. Both the demand for cycle space and the success of infrastructure design is fascinating. The Netherlands has a mostly flat landscape which makes it easier and more comfortable to bike daily. Most Dutch people live in urban areas and the small size of the country makes people willing to travel those distances by bike. Additionally, biking infrastructure takes up less space than car infrastructure, such as parking, making cities more livable. Landscape is a major barrier to cycling feasibility in cities like Atlanta that are hilly and sprawled, however we can start making biking friendlier in city centers by completing cycle paths across cities. Not only would this benefit city dwellers, but people that for example travel into the city using MARTA, can bike from trains stations to their work. Dutch people also bike because driving a car is more expensive. For example, in 2013 the US gas tax was $0.53 per gallon, and $3.79 per gallon in the Netherlands (Pomerleau 2015). Not only is driving a car more expensive, but it’s also more difficult to drive on narrow city streets that are typically shared with bikes, and it is more difficult to find car parking. The inconvenience of driving in the Netherlands is furthered by street utility. Streets that allow cars in cities have reduced speeds to make it friendlier for low stress transportation modes, including walking. If you already have to travel at speeds close to that of a cyclist, why not cycle? I’ve come to realize that the main difference between how the Dutch design their roads and how we design roads in the United States is that the Dutch truly consider every user and every destination when a design is created. They design for the users who live nearby, the kids who bike home from school, the commuter to work. 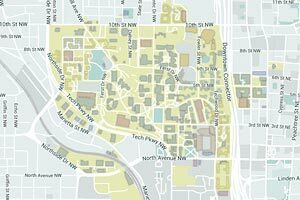 They create networks so that you can bike anywhere in the city or even to the next town over. They create cohesive connections so that you can bike to a train station, park your bike, ride a train, take a tram, and then walk to your destination, all in one trip. In order to have complete bike and vehicular networks, the Dutch will give priority to bikes in some places and cars in others. They also design every street to meet its needs rather than automatically assuming that cars should be given priority, like we do in the U.S. much of the time. In the United States, we are missing many of these elements, in part because of our spread-out land use and our attachment to our cars. If we could get more people on bikes, which take up a lot less space than cars, then our traffic problems would be very different; but getting more people on bikes means making people comfortable and safe riding bikes. Something that really stuck out to me on our trip was in Amsterdam on our bike tour when Cornelia (our tour guide) told us that people rioted when a major roadway was proposed to run through the city center. The roadway was not built, and now in Amsterdam, major roadways are being removed from surface level and being put into tunnels underground. 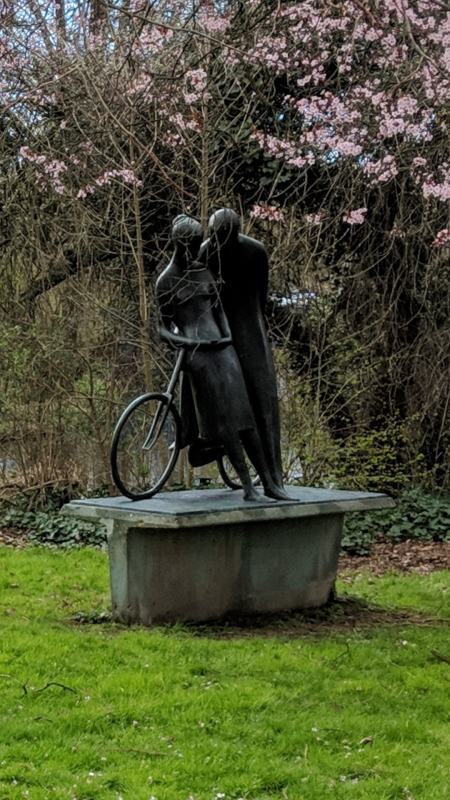 Also, before going to the Netherlands, we learned about the history of Dutch bike infrastructure and how change started to take shape when people had enough with children dying on bikes. This came up again and again on our trip, and it shows how advocacy is what pushed the Dutch to begin designing the way that they do. This need for safety that is ingrained in the Dutch culture is seen everywhere in their infrastructure. Bikes are separated from cars or speeds are so low that car traffic and bike traffic move at the same pace. At intersections, bikes are given extra protection, cars expect to look for bikes, and bikes have their own signals. All of these designs come from working to keep bicyclists safe and away from interacting with fast vehicles. 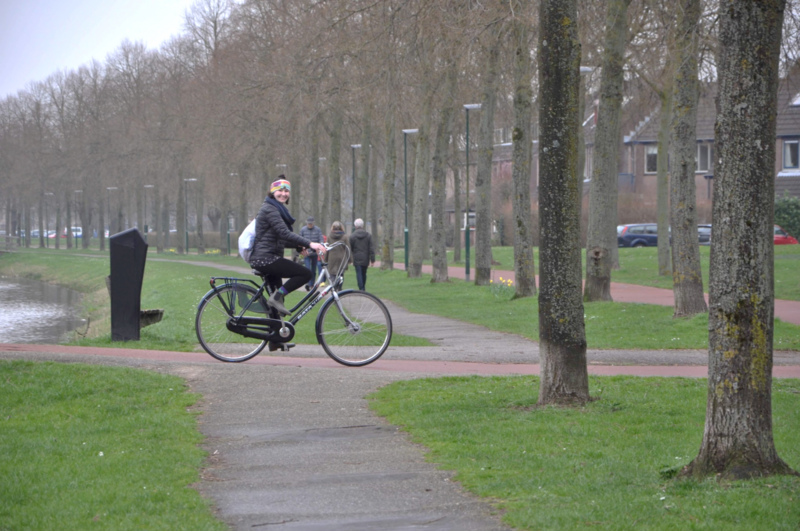 One fact about biking in the Netherlands is that people wear normal clothes on their bikes and their bikes are meant to be comfortable. Besides when we biked on the weekend, we didn’t see people in “workout” clothes biking around. We also saw mostly step-over style bikes with either no gears or only up to seven speeds, which can be seen in the picture of me below. These differences in biking culture from the United States are the result of feeling safe and comfortable when bike riding. When you bike in the U.S., you feel like you have to keep up with cars, so you bike harder and use a bike meant for racing. In the Netherlands, you can go slower and not feel that pressure, allowing you to use a less intense bike and wear clothes that aren’t meant for sweating in. It also seems to me that the more bike infrastructure there is, the more that people bike. So when the Dutch built entire networks of bike infrastructure, they were able to influence more people to bike. Which created more advocacy for bike infrastructure and then the cycle continues. Although I learned a lot about bike planning and transportation planning on this trip, I am still having a difficult time imagining Dutch design solutions in the United States. Maybe it’s because I have worked on projects in the past where maximizing vehicular capacity and level-of-service are so important that I can’t imagine purposely designing a street that will cause congestion for cars; or maybe it’s because our population density is lower and we don’t have adequate transit available. I’m hoping that I’m wrong about the United States because the Dutch value sustainability and safety just as much as I hope we can one day. 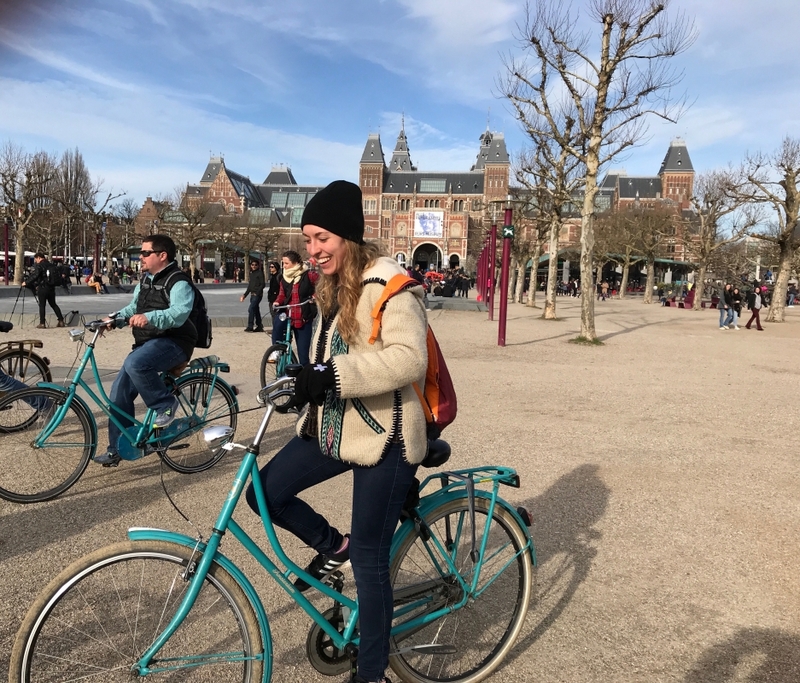 I loved living like the Dutch do for just a short while, and I look forward to taking their values into my own life by driving less and biking and walking more. It’s only been a few days since I got back from the US (I’m even still jet-lagged – it’s awesome! ), but I already kind of miss The Netherlands. 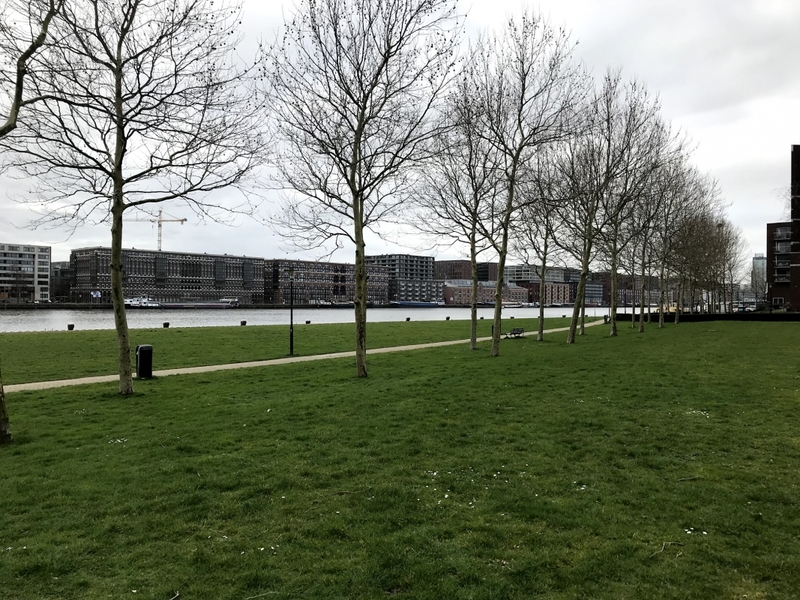 The elegant design of their cities; the perfectly planned transit stations; the zealous city planners; all of it is so common place in The Netherlands, and it was easy to forget that, typically, the opposite is true in the States. Ah, well, c’est la vie I guess! Central to the point of this trip though, in my opinion, is to spark a desire among us planners across the pond to strive to push the bar higher. I certainly feel that way, so while I'm sad it's over, I'm glad it worked. Although I’m still upset that the US consistently fails to get it all right, I’m honestly very excited to have been exposed to Dutch planning. What are my key takeaways about Dutch culture and design, then? In terms of how culture influences design, there are a few that I can think of. One thing I have been turning over in my head is something Andre said to us in Houten. In between heaping praise onto that test-tube baby of a city, he mentioned that a big part of the Dutch emphasis on planning was due to their “infinite war with water.” I’m not sure how much being under sea level and constantly at risk of becoming the Atlantis of countries really influences Dutch views on planning, but it doesn’t seem crazy to think that it became built into their culture largely due to that reason. Obviously, most of the US isn’t below sea level, so planning doesn’t exactly become a life or death situation in that sense (though I can think of a few cities where it would have benefited from it). Another way that their culture facilitates planning is something we don’t talk about much: their overall trust in their government. American distrust in central government is consistently much lower than the Dutch (and it's getting worse – yikes!). What does that matter? Essentially, I think it makes people a lot more comfortable paying taxes, and funding new infrastructure projects, and letting the city of Amsterdam hire 70 (70!) designers. Also, they’re more comfortable paying higher taxes, which I think are essential to see full funding for proper infrastructure projects. We don’t talk a lot about politics in engineering classes (often for the better), but I see policy-making and planning inseparable; 2 disciplines that are joined at the hip by bureaucratic stitches. For any of these great planning concepts to become consistently implemented, public trust in the institutions that make those kinds of decisions needs to be really high. 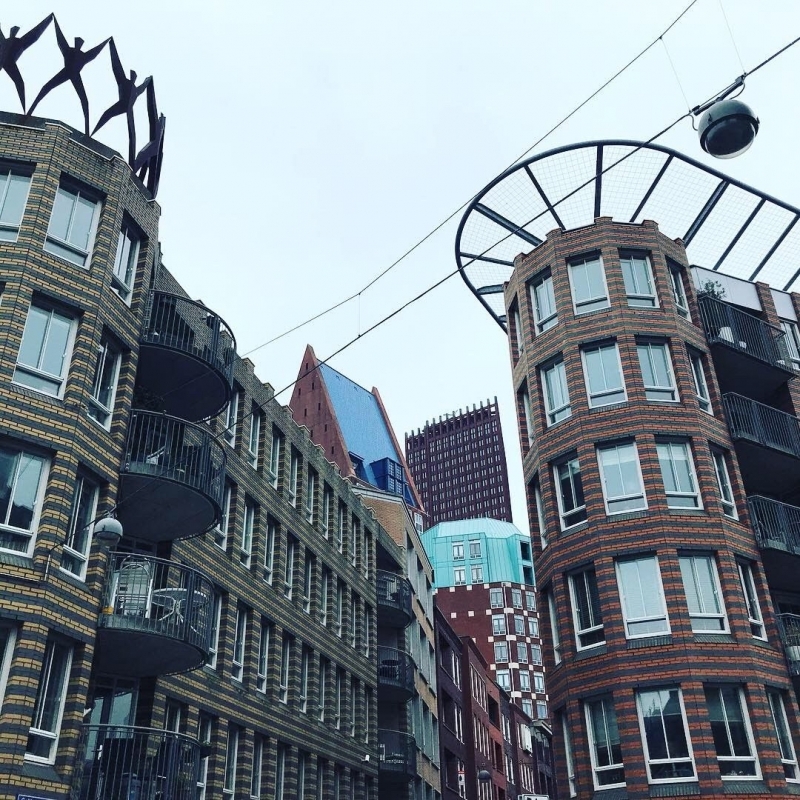 Figure 2: I was amazed by some of the architecture in The Hague. Doesn't this look like something out of Inception? What about how the design influences culture? 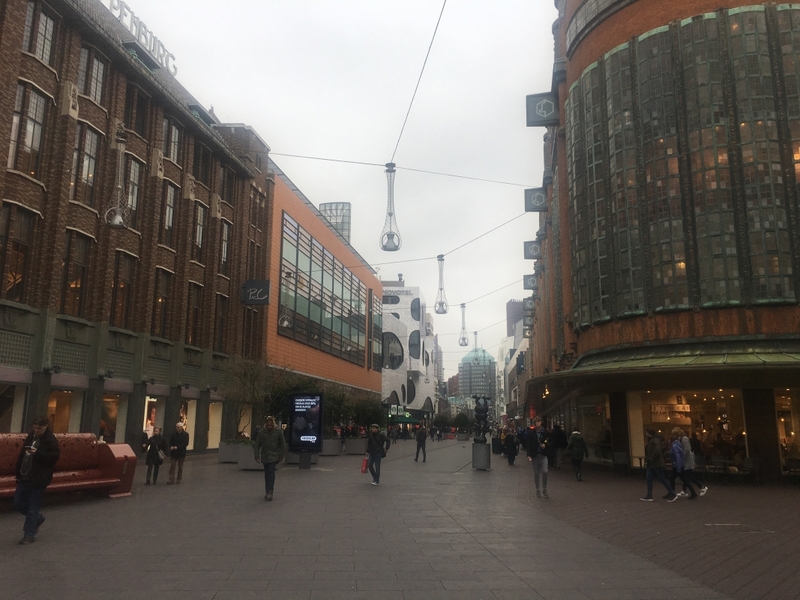 In The Hague, after being led around all day by three transit planners who I can only assume had nothing to do because they had already won, a small group of us stuck around to see some stuff and hang out. We went to an art museum, then went to meet some others at one of the restaurants in the square outside the museum. What we came back to was magnificent. In this square, part of the giant portion of The Hague’s city center without any cars, people who had just gotten off work had come by bike and by foot and were sitting with their friends having a la chouffe or two (a beer). Observing how relaxed and happy everyone seemed, we talked about how some simple design principles improved these peoples’ quality of life so much. People could exist at the human scale. 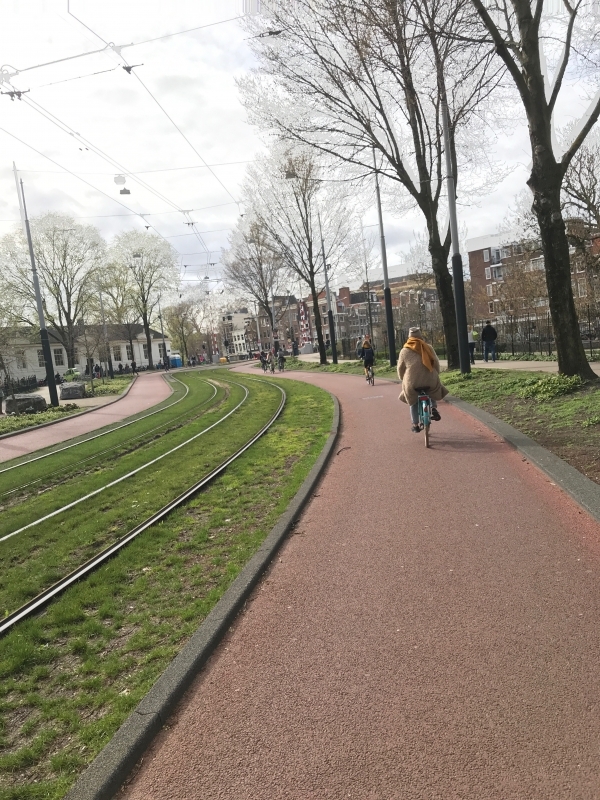 Aside from the planning wonders that are Dutch cities, one could also look at the robust networks of bike paths and see how it has helped the Dutch people be more active and healthier. The networks also make them less reliant on cars, and they therefore don’t put cars on nearly as high a pedestal as we do. Cars go much slower, and almost always yield to pedestrians. What a concept! 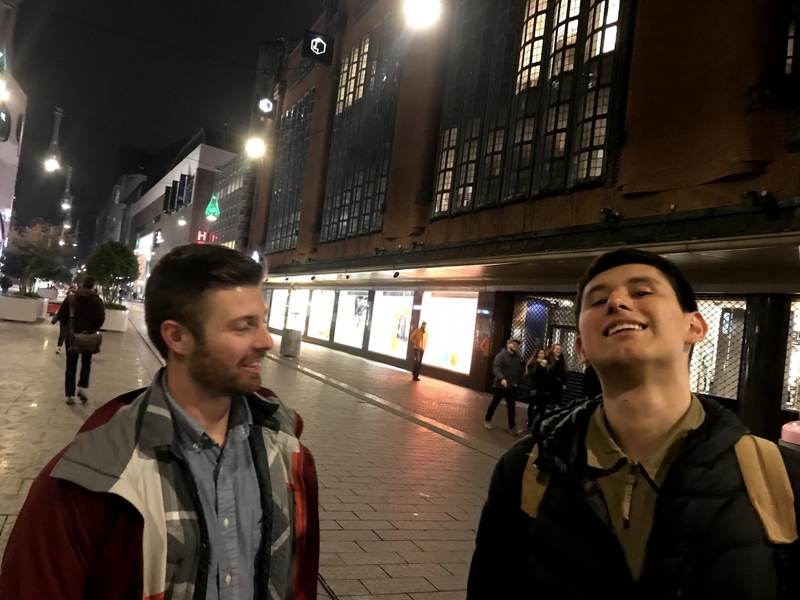 Figure 3: Jeremy and Darryl truly couldn't believe the planners of The Hague ensured there would be no cars in the city center! There is so much more I could say about the differences between Dutch attitudes towards transit design and ours, but I’ll leave off on an optimistic note. The Dutch aren’t perfect: things don’t always work the way they want, they have to rebuild, they get something wrong, etc. It’s a process, and it takes time regardless of the country. There’s much work to be done by us American transit nerds, but we just have to continue making incremental changes. Maybe some day students could get a tour of some of our transit? Figure 4: I'll sign off with this picture of me and a blurry Eleanor and Katharine on our 70 km bike ride. Thanks for reading!